Education and Parenting – A Winning Combination for America! The “touchy-feely” solution to most problems today appears to be that we should ‘throw money at it.’ Even if there are negative results, at least you get that `warm feeling’ that you tried, that you did something. This is a particularly popular solution if you can throw someone else’s money at the problem. This is what appears to be happening with our education system. Back when I was going to school, the school district was strictly a local issue. It was funded by that portion of the real estate taxes that were earmarked for the school district. Who knew best what the local school should have for facilities, or for their respective curriculum, than the local people themselves? There were an elected school board and professional school administrators to oversee everything to do with their school district. It worked well! So how did the federal government get involved? The United States Department of Education was recreated by the Department of Education Organization Act and signed into law by Jimmy Carter. It began operating on May 4, 1980. Ronald Reagan tried to kill it, but the Democratic congress overruled him. It is the smallest cabinet-level department with about 5,000 employees. Upgrading education to cabinet level status in 1979 was opposed by many in the Republican Party, who saw it as an unnecessary and illegal federal bureaucratic intrusion into local affairs. The National Education Association supported the bill, while the American Federation of Teachers opposed it. George W. Bush was the advocate of the No Child Left Behind Act. With the implementation of this act, the budget for the Department of Education was elevated to $60 billion. As of 2011, this discretionary budget was almost $70 billion. The latest budget request calls for $78 billion. All of these billions of dollars being spent by our federal government for issues that were, and still should be in my opinion, managed at the local level. How successful are our school systems in the U.S.? At first glance, these statistics look good. But here is the flip side. One in eight people are not high school graduates. 69% of the people over the age of 25 are not college graduates. So my question is this. If 69% of the population of Americans over 25 do not have a college degree, why are our school systems so focused on college preparatory curriculums? In many school districts facing financial duress, the first classes that are cut are the shop classes, home economics classes, and the mechanic/technical classes. Common sense tells me that not all students want to, or are capable of, going to college. The world still needs bakers, plumbers, auto mechanics, carpenters, electricians, machinists and general tradesmen, yet most high schools do not address these vocational trade issues in the form of classroom instruction. Have you had a major car repair done lately? Have you noticed what it costs to get a plumber or an electrician to your house? These people earn very good money. I am sure many of them make more money than college graduates. While there are many college graduates attempting to find employment, it appears we have a shortage of skilled craftsmen in America. I live in an area currently being impacted by the policy of sequestration. In a nutshell, many people with college degrees are now working a 32-hour work week instead of their usual 40-hour work week. Their paychecks are cut accordingly. Chances are, your electrician, auto mechanic, and plumber are not being impacted by sequestration! 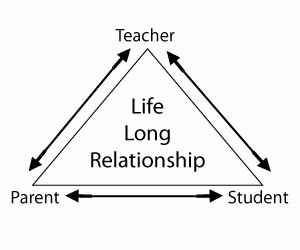 The other piece to the ‘successful education’ puzzle is parenting. In this regard, I would like to relate part of an article which was printed in our local paper on July 13 of this year. It was written by Walter E. Williams, a professor of economics at George Mason University. You may have heard him substitute for Rush Limbaugh on the radio. I was so impressed by his article, that I saved it specifically to share with you in my blog. He addresses both the budget aspect of our education systems and the roll of parenting in the pursuit of knowledge. I am astounded by all of the programs available today to young parents. We have kindergarten. We have pre-kindergarten. I believe there is also pre-pre-kindergarten. Much of this is the solution to single parent households and households where both parents are employed. Let me relate how we did kindergarten when I was growing up. Firstly, in our small town, kindergarten was only done on Saturdays! Yup! And to be more specific, it was only done on Saturday mornings. You think that is shocking? Well you will really like this! Kindergarten was taught by our mothers. Yup! All the mothers would rotate with five or six of them volunteering to teach kindergarten on Saturday mornings. Why on Saturdays and why our mothers? Simple. There was no money budgeted for teachers or full-time kindergarten, and our mothers worked during the week. Thus the Saturdays! How many parents would tolerate that today? It was expected that our parents would get us ‘prepared’ for school. My mother would spend time reading to me, and then teaching me to read. In a small town, everyone knew everybody. You did not want your child going into the first grade unable to read, write, and recite their ABCs. The pressure was on! There is one aspect that Dr. Williams did not discuss that I believe is an important element of parenting. Expectations. My father, Big Daddy G, dropped out of high school in order to join the Navy during WWII. When I was in the sixth grade, he tested for and earned his GED. His rationale was that he should get his diploma before I got mine. Even though Big Daddy G never read a book to me, he was a firm believer in expectations. This became painfully evident when I earned a `C+’ in English the first quarter of my Junior year in high school. It kept me off the `A’ honor roll. All of my other grades were `A’ honor roll worthy, but that was unnoticed by Big Daddy G. When he opened my report card, saw that grade and realized that it kept me off the `A’ honor roll —-well, you would have thought the Japanese totally missed Pearl Harbor and hit our farm instead! To say that `all hell broke loose,’ or that I got a stern `talking-to’ would be a huge understatement. Big Daddy G was short on formal education, but long on expectations for his oldest child. This was by far the worst `talking-to’ I ever received from him during my entire lifetime. You could say he was the consummate motivator. I made the ‘A’ honor roll the remaining 7 quarters of high school. What does commons sense tell me? 1. The local school districts know more about what they need than the federal government. Eliminating the Department of Education would eradicate a huge, unnecessary expense. 2. Our government should realize that craftsmen skills are just as important for some as a college education is for others. Not all people want to be college-educated. Research what local school districts are doing to prepare students for vocations, not just college. In my mind, vocational training is more important than extra-curricular activities. Not many people play professional athletics, but everyone needs to earn a living. I do not advocate the elimination of any physical fitness or sport activities. I just want to emphasize that it is not realistic for most children to believe that being a professional athletes is a realistic career path. 3. Parents should set realistic goals and standards for their children and then enforce those goals and standards. The Army said it best with their former slogan, “Be all you can be.” Without good parenting and parental involvement, the chances of children succeeding are greatly diminished. That’s it. Big Daddy G is alive and well. If you need to borrow him for `expectation’ realignment for your `students’, send me an email! This entry was posted in Common Sense Solutions, Growing Up in America 65 Years Ago, Political Opinion and tagged Parent Teacher Relationship on July 24, 2013 by Grandpa T.
Grandma P and I decided to travel the United States for 33 days. We covered 6,700 miles, 19 states, 3 National Parks, and five grandkids. Whew! I now know that I have no compunction to become an over-the-road trucker. Kudos to the men and women that can do that job day in and day out. One thing becomes very obvious as you travel the US. It is big, and it is beautiful. We were in mountains, deserts, plains and northern forests. We saw nearly every type of terrain and weather that exists in the lower 48 states. Fly if you must, but the only way to truly see the magnificence of our country is to see it in a motor vehicle. I conservatively figured that during our little trek, we spent close to 150 hours in the car. Conversation can become a little stale after the first three or four thousand miles, so we did have the radio on part of the time. During one program, someone was talking about the size of the IRS and how many employees work for the IRS. They made a claim that the IRS was larger than six other federal government agencies combined! Without my trusty computer on the front seat next to me, I could not prove or disapprove that statement. And because I was driving, I had no way of writing down the list of six agencies that were mentioned on the program. It did arouse my interest in researching this claim, however. The Internal Revenue Service is the revenue service of the United States federal government. The agency is a bureau of the Department of the Treasury, and it is under the immediate direction of the Commissioner of Internal Revenue. The IRS is responsible for collecting taxes and for the interpretation and enforcement of the Internal Revenue Code. In 2010, the IRS employed approximately 106,000 employees. Its operating budget was approximately twelve billion dollars. In 2010, the IRS collected over $2.4 trillion dollars from approximately 234 million tax returns. If my math is correct, the annual budget divided by the number of employees represents a cost per employee of about $113,200. So why write about the IRS ‘Army’? Firstly, if you want a real challenge, try finding out exactly how many people work for the federal government by agency. Secondly, if you want to get more attention than you likely want, try to find out how many people work for the NSA or CIA! It is obvious that the total number of people working for Homeland Security and its agencies is, indeed, larger than the number of IRS employees. But it is also obvious that the two largest Homeland Security agencies, TSA and Customs and Border Protection are about the same size together as the number of IRS employees. We have established that the IRS has a big boatload of employees. These people are hired to be the forthright collectors of all monies rightfully owed to the federal government. They are tasked to “root out” all tax dodgers, and bring them to justice. They are to “assist” the unknowledgable tax payer with their fiscal responsibilities! They are to be non-political in the pursuit of their sworn duties. They wear white cowboy hats, carry silver badges, and ride white horses! We have recently learned that they are not as non-political as we assumed. As a matter of fact, they got darn right political! Beginning in March, 2010, the IRS more closely scrutinized certain organizations applying for tax-exempt status under Section 501(c)(4) of the Internal Revenue Code by focusing on groups with certain words in their names. In May, 2010, some employees of the “Determination Unit” of the Cincinnati office of the IRS, which is tasked with reviewing applications pertaining to tax-exempt status, began developing a spreadsheet that became known as the “Be on the Look Out” list. * had statements in the case file that criticize how the country is being run. If this list of targeted items did not sink in or get your dander up just a little, I suggest you read the list again! The guys with the white hats and badges used their authority to target anyone or any organization that advocated the above itemized list. They became political hacks. Are you perceiving that our liberty of “freedom of speech” is slowly being taken away? What resulted from this? From April 2010 to April 2012, the IRS essentially placed on hold the processing of applications for tax-exemption status received from organizations with “Tea Party” or “Patriots” in their names. While apparently none of these organizations’ applications were denied during this period, only four were approved. During the same general period, the agency approved applications from several dozen, presumably liberal-leaning organizations whose names included terms such as ‘progressive,’ ‘progress.’ ‘liberal,’ or ‘equality’. Since this has transpired, there have been numerous calls for audits and investigations by various levels of government. The usual “political speak” is being used extensively. The POTUS has said, in a speech of May 13 of this year. that the charges are “outrageous” if true, and that anyone found to be responsible for such actions should be held accountable. 1. The IRS has targeted organizations advocating education about the Constitution and the Bill of Rights. 2. If you opposed Obamacare, you were targeted. 3. You were targeted if you criticized how the country was being run. 4. If you questioned the integrity of federal elections, you were targeted. 5. And here is the biggest trigger for my outrage: Not one of these people within the IRS has been terminated because of this targeting program. So much for being held accountable! 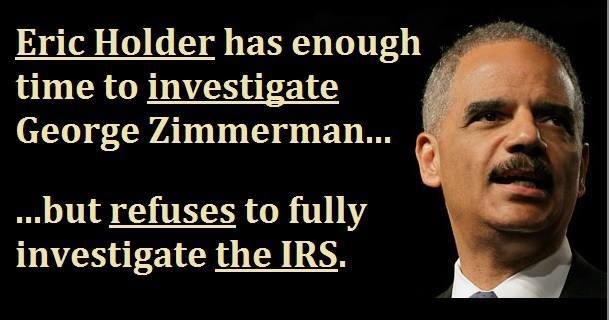 Additionally, during a recent Congressional investigative meeting, top people within the IRS were pleading the 5th Amendment to charges of targeting; and indiscriminate and excessive abuse of taxpayer monies! Remember—this is the same group that is supposed to administer Obamacare. No doubt, they will lobby for more people and more money! I will predict that if they administer Obamacare, they will employ more people than the current 169,000 in the Department of Homeland Security within 5 years. How do we correct this mess? What would make common sense? Firstly, there should be some very public terminations of the responsible parties. Start in the Washington, D.C. offices of the IRS, and work your way down to the regional and district managers that practiced this policy. I assume that there would be at least one hundred to five hundred people terminated. The underlings would see firsthand that no political hanky-panky will be tolerated. Secondly, install new leadership from outside the current agency. Thirdly, institute a flat tax. Simplify the tax codes. With a flat tax, we can eliminate 2/3 of these IRS employees. If we allocated 50 IRS employees to each congressional district, that would result in less than 25,000 employees. Fewer employs means less tax money wasted. Lastly, overturn Obamacare. This program has been an albatross around our country’s neck for too long. As the facts become evident about this program, it appears costly, unwieldly, and not very well structured. We do not need to increase the size of the IRS ‘Army’ to manage this program! These are my suggestions. Take them or leave them. You may not agree with my solutions to the downfalls of the overgrown, selectively scrutinous IRS, but I suspect you agree this shrub needs to be trimmed. Will anyone lose their jobs in the IRS? Time will tell. What is more certain is that I could be targeted by the IRS for criticizing how the country is being run by exercising my rights to freedom of speech. This entry was posted in Political Opinion and tagged IRS Scandal on July 16, 2013 by Grandpa T.